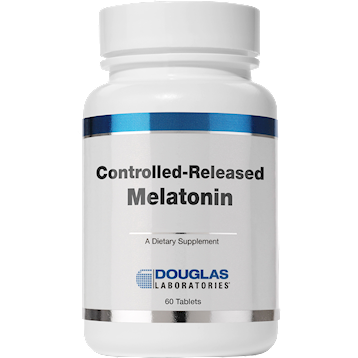 See Dr Slagle's extensive MELATONIN NEWSLETTER to learn all of its many benefits. Melatonin is a natural hormone nutrient that is synthesized from the amino acid tryptophan by the pineal gland in the back of the brain. Melatonin also occurs in small amounts in a variety of foods. In the body, melatonin appears to regulate sleep/wake cycles, support normal immune function, and protect cells from free radical damage. Taking the controlled-release form of melatonin before bedtime seems to lower blood pressure in people with high blood pressure. Immediate-release formulations do not seem to work. DIRECTIONS: Take 1 tablet before bedtime as needed or as directed by a physician. Contains no yeast; corn; wheat; soya; sugar or other sweeteners; artificial flavors, colors or preservatives.